I believe we are part of an evolutionary shift into greater wholeness, cooperation, collaboration, and actualization of our Divine origins, to help create Heaven on Earth. All of my work – books, workshops & events, self-actualization sessions, guided meditations, art – is about moving this forward, individually and through the collective consciousness. Next month, I am offering a training that assists you to bring more of Heaven to Earth, facilitating healing and increased access to one’s natural gifts, along with closer and more tangible spiritual connection at your fingertips. It’s a LaHo-Chi & Angel Light Energetic Healing Training. Please click here for date, location and registration details. And for some more background on activating more of your Divine potential on your own through my books, you can listen to my interviews on Goddess Heart Rising: Paintings, Poems & Paintings for Activating Your Divine Potential . . .
and The Third Mary: 55 Messages for Empowering Truth, Peace & Grace from the Mother of Mary Magdalene . . .
at www.joyofunion.podbean.com. Just scroll down a bit and you’ll see the recordings listed there. As we move toward the Fall Equinox, I wish you ever more balance, wholeness, peace and grace. Join me for a LIVE broadcast hosted by Karen Tate on her show Voices of the Sacred Feminine to discuss What the Divine Feminine Wants You To Know, Wed., Aug. 13, 10 pm Eastern @ www.blogtalkradio.com/voicesofthesacredfeminine. You can also participate directly by calling in at 718-766-4662. *To find out more about my channeling experiences, go to www.TheThird Mary.com and www.GoddessHeartRising.com. Hope you’ll join me for this enlightening, enlivening discussion! Live, Interactive Broadcast – July 9th! 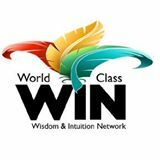 I’m very happy to announce that I’ll be on the WIN – Wisdom & Intuition Network’s “Wisdom Wednesday Show” this week, discussing Angels, Archetypes & More: Accessing the Divine In You & For You. This is a live, interactive show, available free of charge, discussing key elements of my newly released books, The Third Mary: 55 Messages for Empowering Truth, Peace & Grace from the Mother of Mary Magdalene, and Goddess Heart Rising: Paintings, Poems & Meditations for Activating Your Divine Potential, and my angelic guidance and spirit helper readings, including a special message channeled live, all focused on turning life challenges into improvements. Listeners will also receive info. on a special offer for my books and services! So please join host Cyndi Silva and me this Weds., July 9th at 3pm EST, Noon PST! On the Internet, visit http://InstantTeleseminar.com/?eventID=57397503.